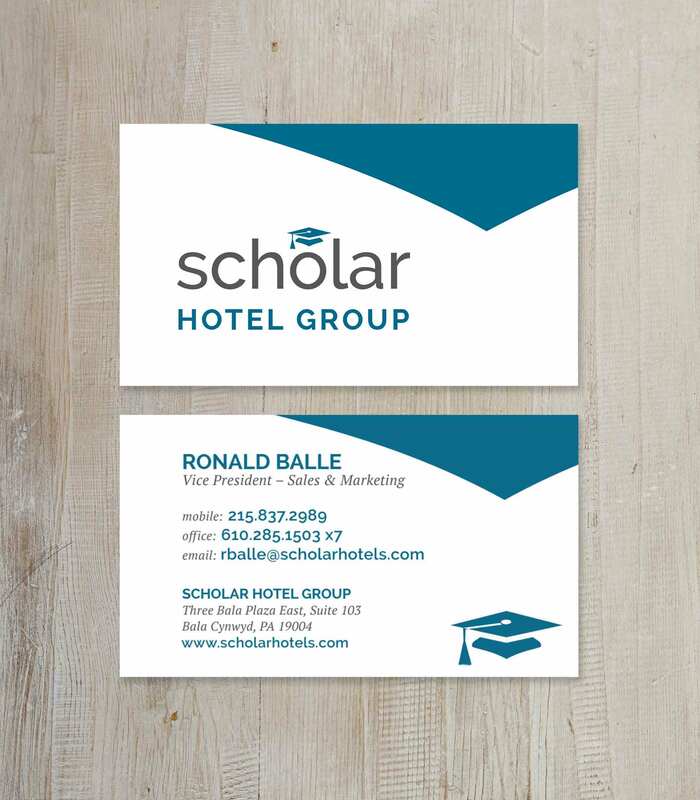 Scholar Hotels is a suite of hotels near college campuses that shows school pride by having school colors and paraphernalia displayed throughout. SSC took them through their visual identity process exploring many concepts and options, some cleverly combining a bed and a graduation cap. In the end, Scholar decided on a simple graduation cap for their logo. The brand needed modifications for specific locations as well as a group logo for their corporate outreach.